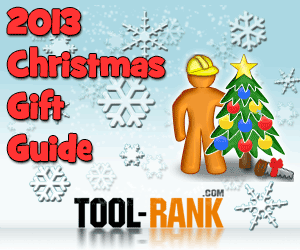 It is about that time of year where we put out the official Tool-Rank Christmas Gift Tool Buyers Guide. Our gift guide features some of the coolest tools from the year, all of which would make excellent gifts for the tool lover in your life. We have all the price ranges covered, so no matter your budged, you can still find an awesome tool related gift. If you need even more tool ideas be sure to check out our Christmas Gift Guides from the past few years, and the tools that are featured as Tool-Rank Picks. If you still haven’t found the gift you are looking for, be sure to check out these gift guides for men (or tool loving women) from some of our online tool-writer friends.